Both Hindu and Greek religion are very old religion known to mankind. Surprisingly the stories told in these two religions have some similarity. We might be ironic towards it being a coincidence or there actually is some resemblance. Few examples are comprehended below. Both are regarded as the king of gods and rains in their respective religion and both gods are related to similar actions. Both posses the same kind of weapon i.e., Thunderbolt (or Vajra in the Sanskrit language). There is a story of a many-headed dragon that had taken control of water and was later slayed with the thunderbolt. In Hindu context, the dragon was known as Vritra while in Greek context it is Typhon. Both of these gods are the portrait in grey, they are polygamous, self-centered and jealous. Both of them have children with mortal women, for example, Perseus and Theseus in Greek whereas Arjuna and Vali in Hindu stories. It is said that Indra’s weapon is made by Tvastar later known by Vishwakarma in modern Hindu religion. Similarly in Greek context, the weapon of Zeus is made by Hephaestus. Both Vishwakarma and Hephaestus are regarded as construction god in their respective religion. Both the religion have the mention of the netherworld and there is a special dog that watches the gate of it. In Hindu context, the name of the dog is Sharvara that is the dog of Yama, god of death. 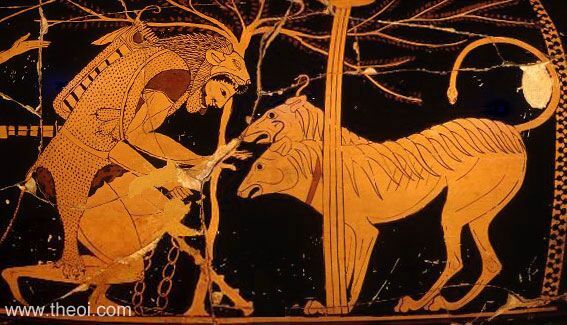 In Greek context the name is Kerberos. Both religions believe that a special river separates the netherworld. In Hindu context, the river is popular known as Vaitarani and Styx in Greek context. When we look at the sky in the night, the milky way seen is regarded as the river. Both of the religion is best known for the understanding of residing of Gods in mountains. Such as Mount Olympus in Greek context and Mount Meru in Hindu context. These mounts are the residing of Zeus and Indra respectively. In both contexts, it is believed that the mount is the center of the earth. In Hindu religion, Brahma, Vishnu, and Maheshwor are three gods considered the most important of all gods. Similarly, in the Greek context, Zeus, Hades, and Poseidon are the most important. Both the religions believe these gods rule the heaven, earth, and the netherworld. Both the religions have a messenger of gods who is shrewd and cunning and can mislead people by their words. 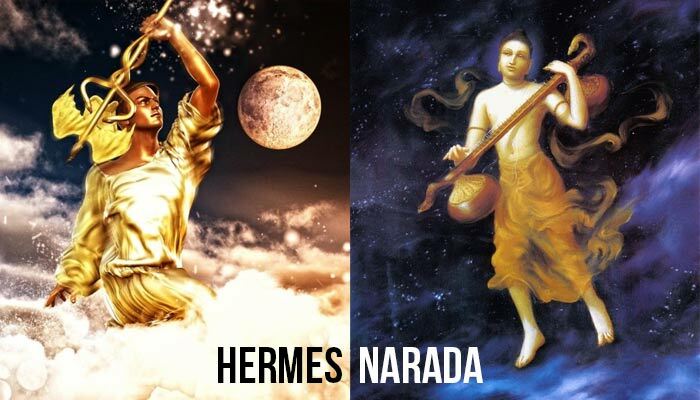 With most in common traits and characteristics, Narada is the messenger of gods in Hindu tradition and Hermes in Greek. Both the religions have gods for everything and every kind. Just like Hindus have each god for wealth, power, knowledge, wisdom, etc. Greek too have similar gods for every kind. Like Yama is the god of netherworld in Hindu and Hades in Greek. Hindu have seven sages called Saptarishis, which are the seven brightest stars that can control even the Sun. Similarly, there is a concept of seven sisters in Greek tradition known as the Pleiades, which is a cluster of stars. Just like the story of Icarus and Daedalus, there is a story of Jatayu and Sampati in Hindu religion where Sampati saves Jatayu from going too near to the sun and burns its wings due to sun’s heat and falls straight to the ground, resemblance with the story of Icarus. It is astonishing that the oldest religion has so many similarities by which we can know that the thinking level of human beings is very much parallel in the context of time regardless of their race or ethnicity. Also Read : What Do The Different Colors In Hindu Dharma Represent?